After extensive renovations and remodeling, the Museum of the Moving Image has reopened with a brand new 267-seat theater, 68-seat screening room, galleries, shop, cafe and courtyard. Architect Thomas Leeser redesigned the space to accommodate more production workshops and audio visual exhibits for students and visitors. 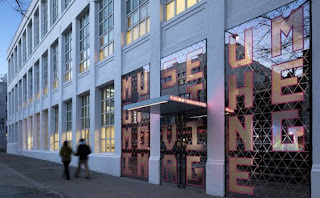 The museum’s premier Behind the Screen exhibit features upgraded technology and memorabilia that bring to life the process of making moving images. Demonstrations and tours add to the interactive experience.